Dosa is a favorite dish of many and is healthy too. Traditional dosa recipes needs few hours of preparation and fermentation. 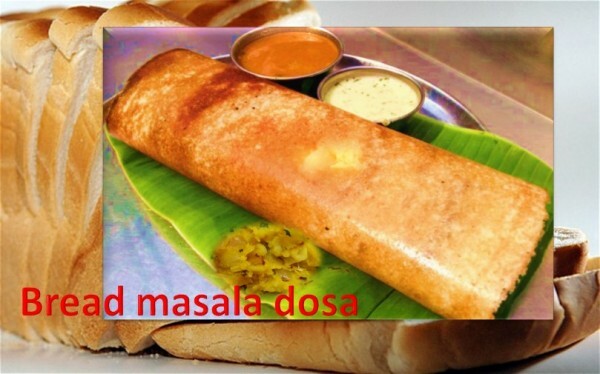 Bread masala dosa (dose) can be a breakfast or evening snack item. Preparation time is 15 minutes. Cut bread into small pieces and add other ingredients. Pleace potato curry in the center and fold dosa. Serve hot bread masala dosa with butter on top, coconut chutney and sambar. To make it tasty you can add chopped onion and grated carrot in the dosa batter !